The ceremony took place at the Akot agricultural produce market committee (APMC) and was attended in large numbers by friends and family of the couple. 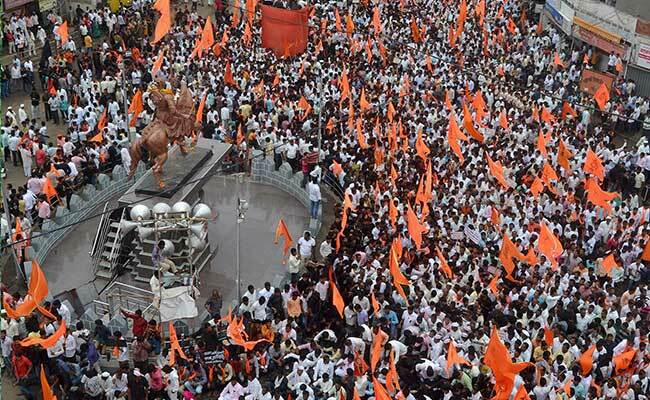 The Marathas form around two-third of the state's 13 crore population. It was all in a day's work for a couple as they tied the nuptial knot amid the cacophony of sloganeering during the Maratha quota stir today. Tejaswini Gawande and Abhimanyu Adhav exchanged wedding garlands at Akot in Akola district even as they took part in their community's protest for reservations in jobs and education. The family members had planned to participate in the Maratha quota stir before the rituals began but it was later decided that the marriage would be solemnised in the APMC premises itself. The couple was seen joining the Maratha protesters in raising pro-quota slogans before taking their wedding vows. The Marathas, who form around two-third of the state's 13 crore population, today staged a state-wide bandh seeking quota in education and government jobs.